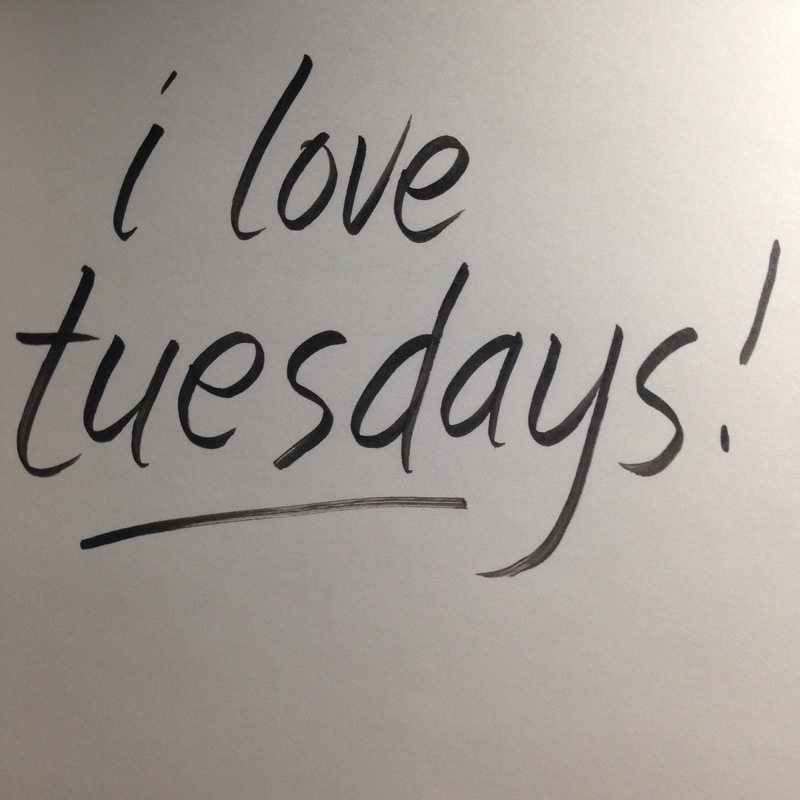 I love Tuesdays. For me, it is the coolest and steadiest day of the week. I still have a lot of time to catch up on my weekly tasks and cross out items on my to do list. When my husband and I were discussing our weekly schedule, he knew that I would choose Tuesday to be my "free day". Free day means I should do everything to block any work from my schedule and spend the whole day with our son Rio. I promised to myself (note:not to Rio!) that Tuesdays should be spent outdoors with my almost "taong-bahay" little boy. If there are stay-at-home-moms, I have a play-at-home-child who spends most of the week playing with me or his lola just inside the house. Honestly,I feel guilty that we do not plan regular outdoor activities for our son. Sometimes I feel that we are depriving him the joy of discovering so many things beyond the corners of our little space. Good thing, we have already lined up a few places to visit for our field trips this year. How does my favorite day of the week look like? I love our jeepney rides. Jeepney rides become more exciting for us when we reach the highway and the super curious boy identifies all the kinds of vehicles on the road. Tanker truck, cement mixer, delivery van, dump trucks and a lot more. Our ride becomes extra special when we get to see the train pass by (Philippine National Railway trains) or we spot some bulldozers, backhoes or cranes in construction sites along the way. I remember the game that I used to play with my cousins to fight off long hours of commuting. We give meanings to the letters of car plates or add the digits of the plate numbers! Nerds! We enrolled Rio in Mathemagis this year to help us introduce numbers and other important Math concepts appropriate for his level. 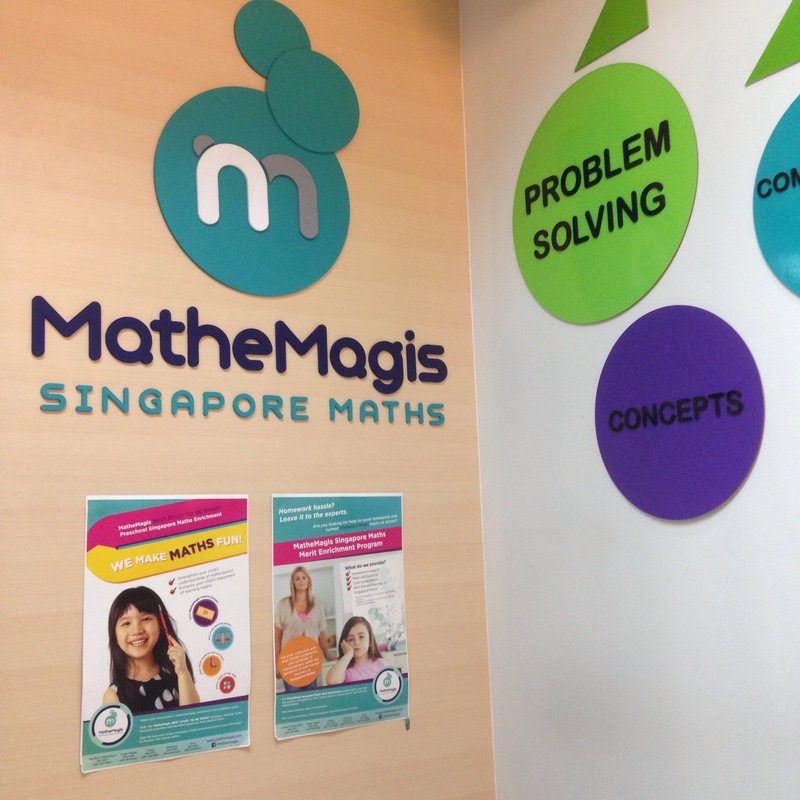 I plan to write a separate post about our Mathemagis experience and the very helpful points I learned on how to creatively teach Singapore Math to preschoolers. Time is up! 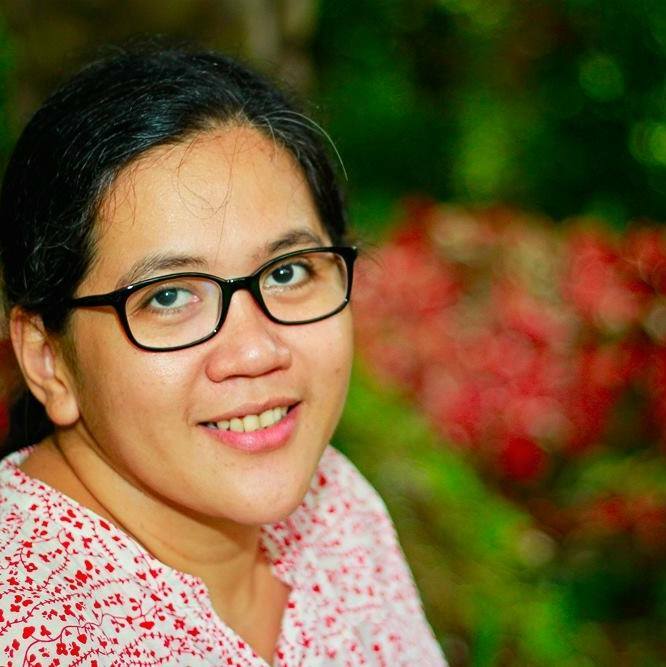 Where do we go after Mathemagis? Merienda at the food court! What do I look forward to after Rio's class? The short walk from the center to the mall's food court! "Nanay, you're too slow!" I try to walk faster and keep up with this super active boy's pace. Instead of using the escalator we take the ramp for grocery carts. It just drives my boy wild as we transform into his favorite monster trucks crashing and running super fast! Tuesday afternoons are also french fries and catsup time! Oh yes, we let our boy eat fast food junk (guilty!) and drink soda too ( more guilt!). While he enjoys his fries, I savor my favorite P50 suman latik and brewed coffee! Sarap! 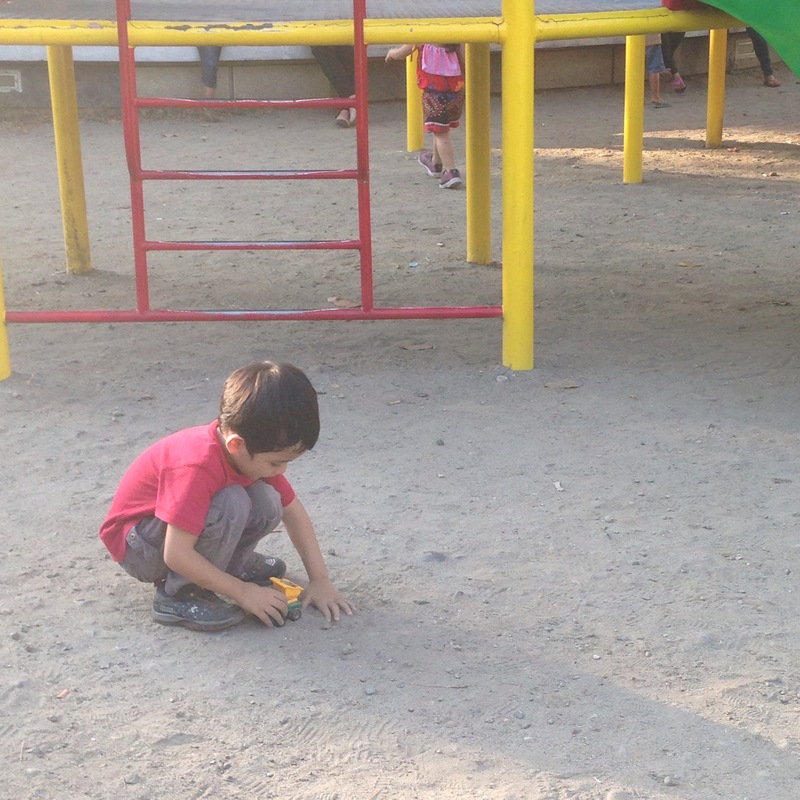 Playing sand in the playground! We go to the playground because Rio wants to put dirt (sand!) in his dump truck or cement mixer! He keeps on asking me to go to the park not to enjoy the slide but to play with sand and his trucks! I really enjoy watching Rio get dirty and sweaty in the playground instead of running in our small space at home. Last Tuesday, we went to Legaspi Park near Amorsolo Street in Makati after Mathemagis and the playground was all ours! Of course I was wishing that we get to meet other kids in the playground so Rio can socialize and make friends too. Nevertheless, Rio had a great time dumping sand in his cement mixer all by himself. The best thing about bringing your kids in the park is you can have unlimited playtime without spending a single centavo! Enjoy na, libre pa! That's how we spend our Tuesdays. How about you Nanays? What's your favorite day of the week and how do you spend it with your kids? nice! I love how your activities are so low-maintenance/effortless and yet full of opportunities for exploring and enjoying! alas, we rarely get to take our twins outdoors as well. they run around in our apartment compound but it's all concrete! got to do something about that! Wow! It looks like you and your kid had a lot of fun. And your activities only goes to show that bonding with your child/family need not be expensive. The best things in life are those that a free and your playing at the park is one good example. Way to go nanay! It's really good to have some bonding time with your child. I plan to enroll my son as well in a Math Class this summer to prepare him for the coming school year. Eating in foodcourts is definitely a favorite of our family! Mura na, masarap pa :) Playing outdoors is way better than watching TV or playing with gadgets. The child gets to explore and enjoy the fresh air! Pam / Hey, Miss Adventures! Yay! Here's to more time spent with our children - outdoors! Although we go on trips during the weekend once in a while, our daughter is also a "taong-bahay" and spends most of her time inside our room. It doesn't help much that she has an introvert personality. Very rare talaga that she approaches/responds to people other than her parents, cousin and grandparents. The partner does make an effort to take her out of the house every afternoon though but I'm not sure if they have done that recently. The partner works nights and would love to catch up on sleep the whole day so it can be really hard. Our daughter wants to stay inside the room with her dad when he's around. That's why I'm also itching to work from home. Argh. This is wonderful. I look forward to weekend quality time with my boys too. I can relate to this! I need to exert effort to spend time outdoors with my son because ako naman yung taong bahay. I'm so curious about Mathemagis; looking forward to your post about it! That's the most important thing, he enjoyed your activity. I also let my baby eat fastfood snacks once in a while, and she's only 1 and a half, haha. I think it wouldn't hurt if we only do it a few times in a month. I am amazed to learned how organized your weekly schedule is- I hope I could do the same since I am more of a "bahala na" type. 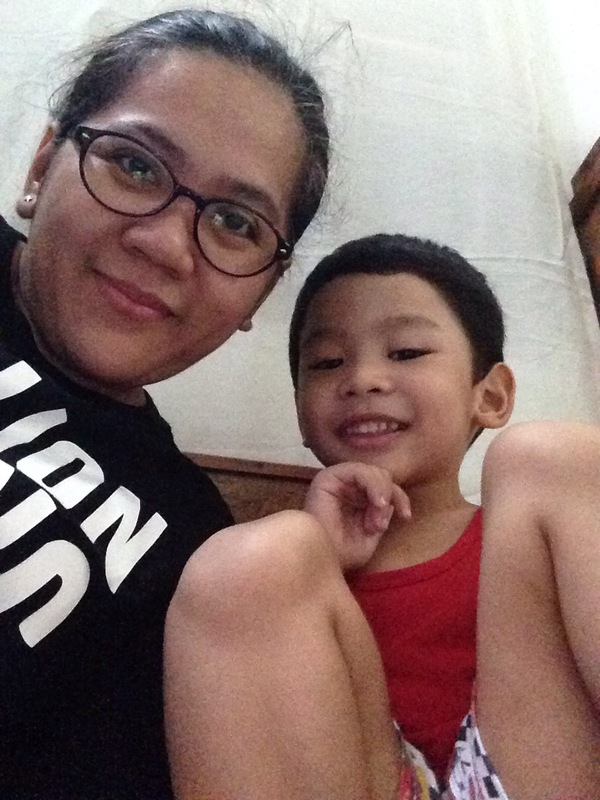 Nice naman to read about your bonding time with your son. Mommy, may i ask how much ung fee sa Mathemagis and kung meron sa qc area nun? I want to enroll my daughter doon sana this summer. How nice to read about your day with your son. I love the instant me-time during his Math session! I have a 13 month old now and I also recently started actively bringing him outdoors in the afternoon to play. Hi Vance! Very true. We hope that all municipalities develop more parks and grow many trees so we can have more places to bring our children. Magastos ang mall! Try Mathemagis! If you stay near Taguig and BGC, enrol at their Active Fun branch. Rio's favorite Teacher Che transferred in that branch. She's really good and nice. Food courts, for the win! There are lots of great finds at food courts. Happy weekend! Super dami lang ng tao sa labas kapag weekends. I'm sure we can always find a super fun place for our children to play and enjoy this free time with us. Thanks for dropping by! My son also stays in our house with his Lola most of the week (except Tuesdays,hehe!). We're really trying our best to plan and stick to our scheduled trips so he can get out of the house to explore and gain more experiences. Super daming activities for bonding this summer na available sa web. Thanks to all the mommy bloggers who share their recommendations and reviews. Very helpful in planning our own family bonding activities! Have a great summer! Yes, ang bilis talaga ng panahon! I can't imagine my son spending more time with his friends. Waaah, baka malapit na yun! Huwag muna... We really have to spend more quality time with them now that they have no choice but to be with their mothers! haha. Nice! I always love weekend but it's everyday that we get to enjoy almost anything. Looking forward to a playdate! When there's no school, my favorite day of the week is Saturday because that's the time we (hubby, me and son) go out and eat out and spend time together as a family. Now, that school's over, every day is a day spent with the little boy, mostly inside our home, but hopefully, when his summer class starts, more bonding time with him outside the house. Hi Mommy Nadia and Rio, Your bonding time was spent well. I just wish my summer days would be like that with my son but we can only go out during weekends because of my online work at home. If there is only Mathemagis here in Cavite, I will also enroll my son. Enjoy! Your kid surely enjoyed his day with you mommy!